Arcade Content and Egg Films’ directors have five nominations in the Branded Content and Online Video, Audio and Music categories at the 2015 Bookmarks, South Africa’s premier digital awards. In all, Arcade Content and Egg Films’ directors worked on six nominated campaigns, which are up for a combined 24 awards. Arcade Content director Rob Smith is nominated twice in the Branded Content category. Rob is up for his brand films for Sanlam One Rand Man and Johnnie Walker King of Flavour, which is also nominated for Use of Online Video, Audio and Music. Rob directed King of Flavour just before joining Arcade, while One Rand Man was his first Arcade job. King James and Punk were behind both campaigns, which are up for a combined 11 awards. Egg Films’ director Terence Neale is also nominated in both the Branded Content and Use of Online Video, Audio and Music categories, for Skittles’ Smuggle the Rainbow. Taste the Rainbow campaign. The DDB SA campaign has seven nominations overall. Arcade Content director Lebogang Rasethaba and Egg Films’ directors Dani Hynes and Jason Fialkov also worked on three other nominated campaigns. Lebogang directed the Adidas Unite Joburg brand film for the twice-nominated Publicis Machine campaign; Dani directed the appeal video for Lowe & Partners Get Me To 21 campaign; and Jason directed the commercial for Isobar’s triple-nominee Smirnoff Explore The Night. 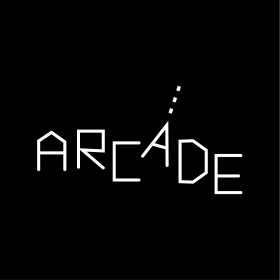 For more information, visit http://arcadecontent.tv/ and http://eggfilms.tv/.